Busted we win! Unilever for breach of warranty, violation of consumer fraud and deceptive trade practices pays up! I love it, I love it. Busted for whatever the lawyers could get, they got in full from Unilever!. According to documents filed Friday in Illinois federal court, Unilever United States Inc. has agreed to pay $10.2 million to settle a class action lawsuit accusing it of marketing and selling a Suave-brand hair treatment that causes significant hair loss. 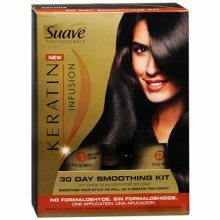 The Suave Keratin class action lawsuit was initially filed in August 2012 on behalf of a class of consumers who purchased or used Suave Professionals Keratin Infusion 30-Day Smoothing Kit, a product that was recalled in May 2012. The plaintiffs alleged that the product included dangerous ingredients that caused injuries, and that Unilever failed to properly inform consumers about the proper way to use the product to avoid injury. During this time frame we at the “Real Hair Truth/Jotovi Designs Inc.” watched closely all the litigations that went forward with this class action lawsuit. And passed along any and all emails we received from consumers to the appropriate law firms representing the clients involved. Jotovi Designs Inc. was also used as a avenue for any and all complaints within the professional beauty industry, working hand in hand with consumers and professionals directing them to the proper law firms involved with the plaintiffs. Now trust me my friends that is just penny’s to them not even nickels or dimes at all. They are a large corporation will it hurt them, “NO” not at all. These large manufacturers are always in court. Look at L’Oreal, the mother of all lawsuits does it hurt them “No”. They always find a way to push the envelope, this is just a part of there corporate lives. No biggy to them. The consumer and professional are the ones who get hurt. And trust me the so-called professional beauty industry does not care to inform there industry of these deviate practices. They will actually support these company’s. Basically because they need there money to survive. They cannot do it on there own. On the Unilever website the company claims that. “Our brands play a major part in helping us achieve our sustainable living aims of helping more than a billion people improve their health and well-being; halving the environmental footprint of our products and sourcing 100% of our agricultural raw materials sustainably”. Really? Unilever is a major force in the beauty/cosmetics industry with household names as, Dove, Axe, Lux, Pond’s, Sunsilk, Tresemme, and who could also forget the beauty industry TONI&GUY that you can buy anywhere and beauty professionals will hail the product. Knowing full well they have no exclusive of the product what so ever. But they will sell it in there salons. And buy there tickets to there hair shows supporting TONI&GUY. But that’s another story in itself. The Suave Keratin class action lawsuit asserted claims against Unilever for breach of warranty, violation of consumer fraud and deceptive trade practices statutes and unjust enrichment arising from the manufacture, advertising and sale of the Suave Keratin Infusion smoothing kit. According to the plaintiffs’ motion supporting preliminary approval of the class action settlement, between 225,000 and 260,000 smoothing kits were sold. Under the terms of the proposed Suave Keratin class action settlement, Unilever will pay $10 million to establish two settlement funds: a reimbursement fund and a personal injury fund. The $250,000 reimbursement fund will be available to Class Members who purchased a Suave Professionals Keratin Infusion 30-Day Smoothing Kit, providing a $10 refund for the past purchase of the product. The class action settlement injury fund will provide relief to Class Members who suffered bodily injuries to their hair or scalp as a result of using the Suave keratin treatment. Class Members who incurred expenses for hair treatment but who no longer have receipts for their expenditures will be eligible to receive up to $40 per claimant. Class Members who have receipts from their treatments will be eligible to receive up to $800 per claimant for their expenses. Class Members who suffered significant bodily injury to their hair or scalp will be eligible to receive up to $25,000 per claim. During the filming of my next documentary “The Beautiful Lies”, I received numerous emails for consumers who used this product. 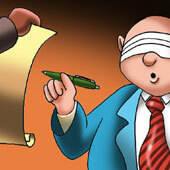 Writing to me the causes, and health hazards they experienced with this product. “I to had a bad experience with this product. My hairdresser called their 1800 # to let them know the damage that their product had done to my hair. It’s taken 6 months to get it back to almost normal. This has cost me a lot of money. Another dissatisfied customer”. The Suave Keratin settlement will also resolve several similar class action lawsuits that were filed in Kentucky and California. The plaintiffs are represented by Marvin A. Miller, Lori A. Fanning and Andrew Szot of Miller Law LLC; Peter Safirstein, Christopher S. Polaszek and Elizabeth S. Metcalf of Morgan & Morgan PC; and Jana Eisinger of Law Office of Jana Eisinger PLLC. The Suave Keratin Infusion Class Action Lawsuit is Sidney Reid, et al. v. Unilever United States Inc., et al., Case No. 1:12-cv-06058, in the U.S. District Court for the Northern District of Illinois.